In case you weren’t already planning on ringing in the new year with Dave Chappelle via his forthcoming Netflix special Equanimity, streaming on Dec. 31, Comedy Central has announced that it will air a full-series Chappelle’s Show marathon on New Year’s Day. Chappelle’s previous Netflix specials, Deep in the Heart of Texas and The Age of Spin, made Paste’s list of 2017’s best stand-up specials, although they were not without their flaws. Netflix just today released a new clip from Equanimity, featuring Chappelle dishing out his opinions on Trump voters. Between that and Comedy Central’s marathon, we should all be plenty well-fixed for Chappelle to kick off 2018. Game … blouses. 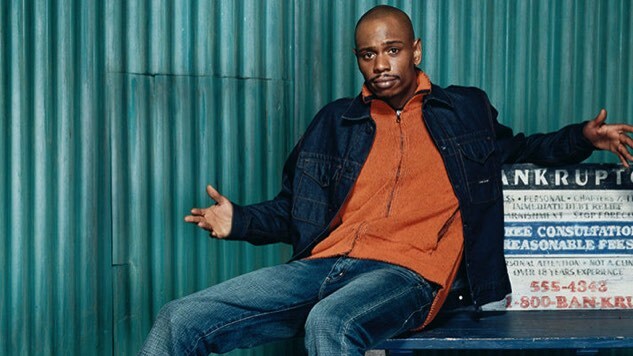 Enjoy 40 hilarious (and NSFW) Chappelle’s Show memes right here.